Born in England, raised in Australia, one needs only to look at the number of well known artists that have found themselves in front of his lens to appreciate how handily Vance's unbridled creativity and energy translated to the camera. Pilot, dive instructor, and ice hockey fanatic, Vance believes that "Making images is all about exploring. If you pay close attention, you often find yourself in a new and wholly undiscovered land, that's when you really come alive." 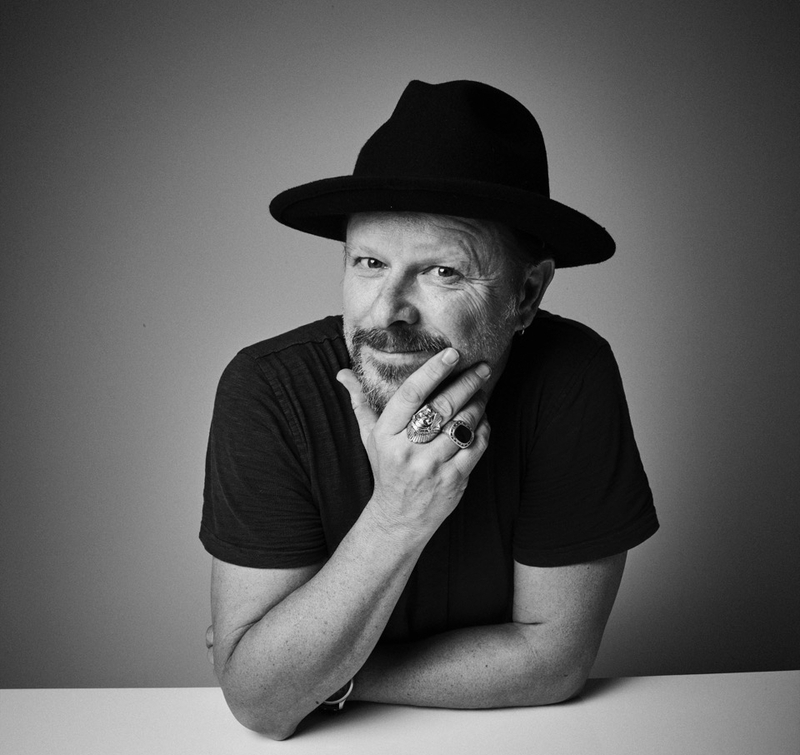 Danny Clinch is one of the most prolific and respected music photographers today. He also directs commercials, music videos and documentaries. His award-winning documentary work includes films on Bruce Springsteen, John Mayer, Pearl Jam, the Foo Fighters and the Bonnaroo Festival. He recently directed the short film “This is Home” featuring Leon Bridges. Additionally, his viral short films about Jay-Z were innovative to the webisode format. Anderson Cooper recently profiled Danny for 60 minutes. His work has appeared in publications such as Vanity Fair, Rolling Stone, and The New York Times Magazine. Clinch has received 3 Grammy Award Nominations. Grant's unique vision for storytelling blends his strong narrative sensibilities with a perceptive observational approach. This has proven impactful in his viral marketing and branded content campaigns for Under Armour, Absolut Vodka, Dreaming Tree Wines, Lytro, Vanity Fair, ESPN, Coca-Cola and the Special Olympics. Most notably, a 5-Part documentary Under Armour series called "Huddle Up" featuring NFL Quarterback Cam Newton which won a 2015 Clio Sports Award. Grant enjoys the process of collaborating to deliver a product that is meaningful such as in his recent ongoing work with Josh Tillman of Father John Misty. He's known to his clients to bring the passion and eagerness of a young gun with the agility and knowledge of a seasoned pro. A Northern California native living and working in Los Angeles for two decades, Piper Ferguson’s work is defined by an electric relationship between high style and pure spontaneity. As a director, Piper is given the chance to truly let her imagination run wild. Building decks and treatments for music videos and commercials, working with her team and watching them come to life is one of Piper's favorite creative endeavors. Piper has recently shot photo/commercial hybrid campaigns for Zenni and SEE Eyewear, seamlessly shooting the photos and directing the commercials simultaneously. After a few years in the tech world, Steph left the Bay Area to pursue a career uniting her biggest passions: music and video. She wears many hats at Milkt. On any given day you could find her on set, working with a team to build a treatment, or booking a film crew. She continuously creates independently and is heavily inspired by her Milkt peers (a luxury of working with OG's). Director Matthew Egan has an unabashed passion for the visual arts and conceptual storytelling. His strengths lie in the analysis of scripts and concepts, bringing forth their most authentic story elements to create small windows into larger, more compelling stories. Hailing from Chicago with a background in fine art and a life-long infatuation with all things film, Matt honed his craft in every facet of production. After establishing himself as a senior editor he threw his hat into the director’s ring. Matt has directed projects for Target, Jim Beam, Kellogg’s, Nintendo, POM Wonderful, Belk Department Stores and writer/executive producer Derek Haas, among others. He has also edited and creative directed music videos for Arctic Monkeys, The Last Shadow Puppets, Neon Indian, Mission of Burma, Girls and Cold Cave. From large-scale live-action productions to four-person crews, his focus is always on the relationship between content and audience.